Some things never change, such as the need for periodic preventive maintenance. But a tune-up is one job that’s changed a great deal over the course of automotive history. The outdated term is still widely used by many people to describe a service procedure that’s supposed to make an engine run better. 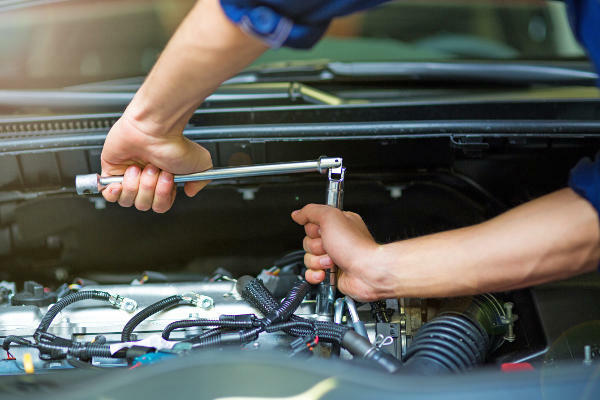 There’s no absolute definition of what exactly a tune-up should include, but most would agree that it involves replacing the spark plugs and performing other adjustments to maintain or restore like-new engine performance. The problem is there’s not much that can be adjusted under the hood on many late model vehicles. Ignition timing is fixed and controlled by the engine computer, as is idle speed and the fuel mixture. You can still check base timing (maybe), idle speed and various emission functions to make sure everything is functioning properly. But there really isn’t much of anything left to “tune”. Yet many motorists still want tune-ups and believe tune-ups are an important and necessary service. Most likely, when you talk about a tune-up it’s probably because you’re experiencing some kind of driveability problem. Your vehicle might be getting hard to start, not getting the fuel mileage it once did, hesitating or stalling, knocking or not running with the same zip and power as before. Or, your vehicle may have failed an emissions test. So what you probably need is an engine performance analysis — and maybe a new set of spark plugs, too. A simple maintenance type tune-up (a new set of plugs) may make an engine easier to start, improve fuel economy, lower emissions, restore lost pep and power, and so on provided engine performance deteriorated because of worn or fouled spark plugs. But if the problem lies elsewhere, a new set of plugs alone won’t do the trick. A “tune-up” under these circumstances would be a waste of time and money. Battery Voltage (very important with all today’s onboard electronics). Charging Voltage. Check ignition timing – if possible (should be checked even if it is not adjustable to detect possible computer or sensor problems) Operation of the EGR valve. In addition to these performance checks, hoses and belts should be visually inspected. All fluids (oil, coolant, transmission fluid, power steering fluid and brake fluid) should also be inspected to make sure all are at the proper level, and that the appearance and condition of each is acceptable. There should be no sludge in the oil, the ATF should not smell like burnt toast, the coolant should have a proper concentration of antifreeze and not be full of rust or sediment, the brake fluid should be clear and not full of muck, etc. Spark plugs need to be changed periodically because the electrodes wear every time a plug fires. When high voltage current jumps from one electrode to another, it wears away a little metal from both electrodes. After 45,000 miles of operation, the plug has fired 60 to 80 million times and wear has increased the distance between the electrodes. At the same time, the nice sharp edges on the center electrode have become rounded and dull. All this increases the voltage required to jump the gap. If the ignition system can’t deliver, the plug may begin to misfire under load. Accumulated deposits on the plug tip may also be interfering with reliable ignition. So by the time the average plug has seen 45,000 miles, it’s getting close to the end of its service life. Though many motorists don’t even know what an oxygen sensor is, let alone that their engine may have one or more of these devices, the fact remains that sluggish O2 sensors cause a lot of driveability problems. A recent EPA study found that 70% of all vehicles that fail an emissions test need a new O2 sensor. To prevent such woes, the O2 sensor can be replaced for preventive maintenance during a tune-up. Unheated 1 or 2 wire O2 sensors on 1976 through early 1990’s applications should be replaced for preventive maintenance every 30,000 to 50,000 miles. Heated 3 and 4 wire O2 sensors on mid-1980’s through mid-1990’s applications should be changed every 60,000 miles. And on OBDII equipped vehicles (all ’96 and newer), the recommended replacement interval is 100,000 miles. The O2 sensor is the master switch in the fuel control feedback loop. The sensor monitors the amount of unburned oxygen in the exhaust and produces a voltage signal that varies from about 0.1 volts (lean) to 0.9 volts (rich). The computer uses the O2 sensor’s signal to constantly fine tune and flip-flop the fuel mixture so the catalytic converter can do its job and clean the exhaust. If the O2 sensor circuit opens, shorts or goes out of range, it usually sets a fault code and illuminates the Check Engine or Malfunction Indicator Lamp. But many O2 sensor’s that are badly degraded will continue to function well enough not to set a fault code but not well enough to prevent and increase in emissions and fuel consumption. So the absence of a fault code or warning lamp doesn’t mean the O2 sensor is doing its job. Deterioration of the O2 sensor can be caused by a variety of substances that find their way into the exhaust (such as lead, silicone, sulfur, even oil ash) as well as environmental factors such as water, splash from road salt, oil and dirt. A sluggish sensor may not allow the computer to flip-flop the fuel mixture fast enough to keep emissions within acceptable limits. A dead sensor will cause the system to go back into open loop with a fixed, rich fuel mixture. Fuel consumption and emissions go up, and the converter may suffer damage if it overheats. Something else that should be part of a tune-up today is cleaning the fuel injectors and intake system. The need for injector cleaning isn’t as great as it once was thanks to improved fuel additives and redesigned injectors. But in areas that have gone to reformulated gasoline, injector clogging is on the rise again. Fuel varnish deposits that form in injectors restrict the amount of fuel that’s delivered with every squirt, which has a leaning effect on the air/fuel mixture. The result can be lean misfire and a general deterioration in engine performance and responsiveness. Deposits can also build up on the backs of intake valves, causing cold hesitation problems in many engines. The cure is to clean the injectors and valves. Cleaning is recommended for any engine that is suffering a performance complaint or has more than 50,000 miles on the odometer. Cleaning the throttle body can also help eliminate idle and stalling problems that plague many of today’s engines. We all know how important it is to go to the doctors for a checkup to make sure everything is running smoothly. Well, the same goes for our cars! When a car is designed, manufacturers set out a service schedule for the car, which they believe will keep it running reliably and safely. If you are unsure about what type of service your car requires then be sure to check your manufacturer guidebook as this will have all of the relevant details in it. There is a lot of overlap between servicing and an MOT test and it is estimated that 75-85% of your MOT is covered during servicing, however that does not mean you should skip on serving or your MOT, as they are vital in keeping your car safe and roadworthy and protecting yourself and other road users. An Oil and Filter change is one of the most important parts of a service and is included in all services. It helps your car to run reliably and helps increase fuel efficiency. All garages have a duty of care towards their customers to complete a visual safety inspection when they work on any car, even if the car is booked for a basic oil and filter change. However they are not liable to check the brakes, so brake checks should be booked in to take place at least once a year. Each type of service builds on the previous level, so a basic service will typically include and oil and filter change and a visual inspection, but there will usually be a top up of all the key fluids in the engine (washer fluid, brake fluid, antifreeze and steering fluid) and a check of up to 35 key components to ensure your car is in the best condition possible. A good garage will also check your brakes and manufacturer guidelines and recommend any additional work your car may need, however not all garages do this. A Full Service typically consists of all basic service work already described, an extra 15-30 additional checks on the car’s components (compared to the basic service) It is important to note, as with the basic service, if the car requires and additional maintenance work this will be and additional cost. A Major Service will include everything covered in a full service but will also include a change of spark plugs, a change of fuel filters and some other service/wear items that are recommended by the manufacturer’s schedule. This does not include any additional repair or maintenance work. If you have any questions about servicing your vehicle or scheduling your vehicle for a Tune-Up, contact Trev’s Automotive, LLC @ 518-877-7978! Owner and Chief Mechanic. Making sure that things get done right the first time.